The BBC Radio 3 production of Juno and the Paycock is available to listen to on the BBC website for 14 days. Directed by Peter Kavanagh and staring Sorcha Cusack as Juno, Stanley Townsend as the Captain and John Kavanagh as Joxer. The Upstart Crow Theater Company are performing Juno and the Paycock in Boulder Colorado. 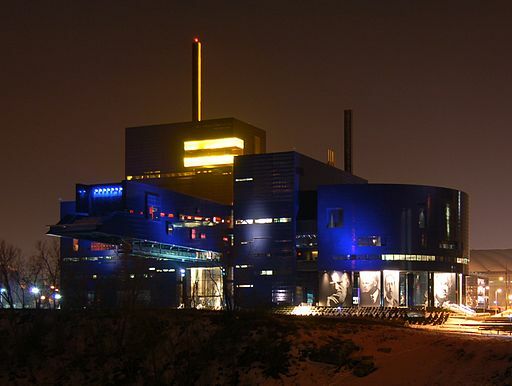 They open tonight and perform through Saturday 6th December. The performance on Saturday 29th November will be followed by a “talkback” session led by CU professor and novelist Paul Levitt. The Newpoint Players will be performing Juno and the Paycock at the Market Place Theatre, Armagh, on the 23rd and 24th of January 2015. Professor N. Dharmarajan has worked for 56 years translating over 170 works from various languages into Tamil. In an article in The Hindu we have learned that his very first work of translation was Sean O’ Casey’s The Worker Blows the Bugle appearing as Uzhaippaliyin Sanganatham in Janasakthi in 1958. Professor Dharmarajan’s work includes translating many works into Tamil including all the works of Tolstoy (excluding War and Peace). The work of a translator in bridging works and ideas across cultures is not an easy one and Professor Dharmarajan is responsible with introducing several new coinages into Tamil. We are very proud indeed that Professor Dharmarajan’s wonderful journey began with a step hand in hand with Sean. It is deeply saddening to learn that Gabrielle Reidy has died. 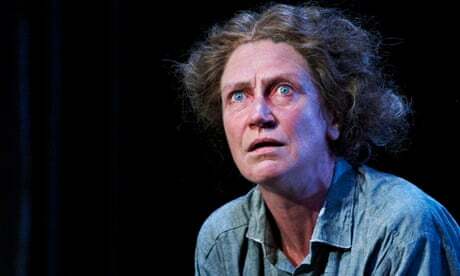 Her career was bookended by roles in plays by Sean O’Casey at the Abbey Theatre. Starting as a child actor in The Shadow of a Gunman in 1971 and with her last role her acclaimed performance as Bessie Burgess in The Plough and the Stars 2012. In the intervening years she graced many productions on stage, television and film. More information is contained in her obituaries in The Guardian and The Irish Times. 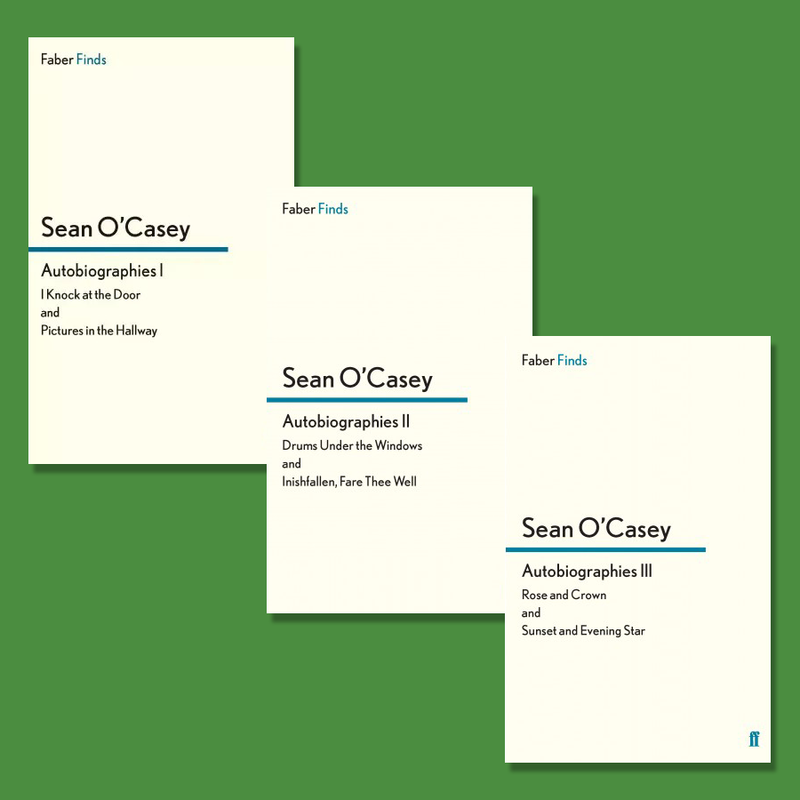 Sean O’Casey’s six part autobiography is back in print in three volumes as part of Faber and Faber’s Faber Finds series. 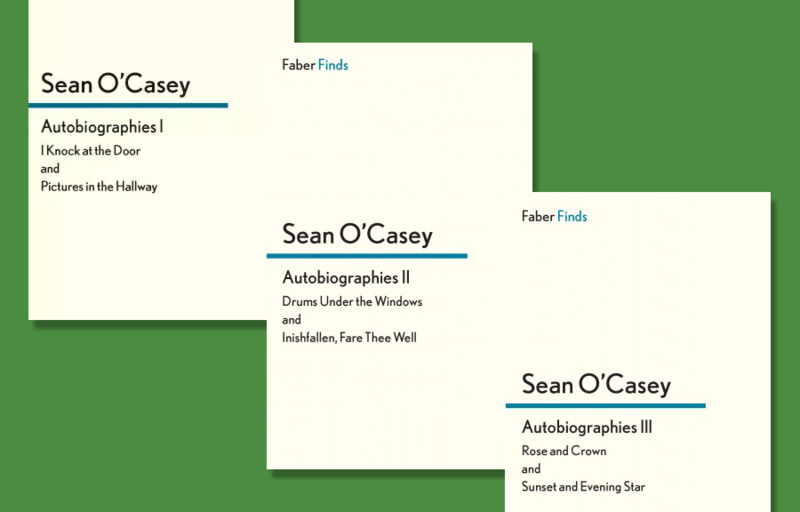 They are available on Amazon in both the UK and US, or direct from Faber and Faber. To celebrate its 110th anniversary the Abbey Theatre has produced a pictorial timeline of 110 important moments in its history from Éamon de Valera’s performance in A Christmas Hamper in 1905 to their writers salons nurturing the next generation of irish playwrights. Sean O’Casey features in two of these first as a listing in the submission logbook for Plough and the Stars and then in a stark image of the Abbey damaged terribly by fire in 1951 during a production of that same play. Remarkably the cast and crew managed to perform the play at the Peacock the next night. 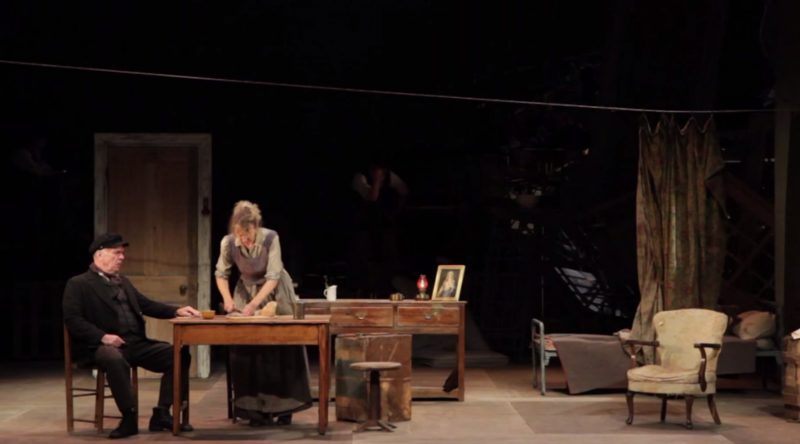 Niamh Cusack and Des McAleer star in Sean O’Casey’s classic Irish drama. Directed by Gemma Bodinetz, Juno and the Paycock will be at the Liverpool Playhouse 1-18 October 2014. Trailer by Farrows Creative.